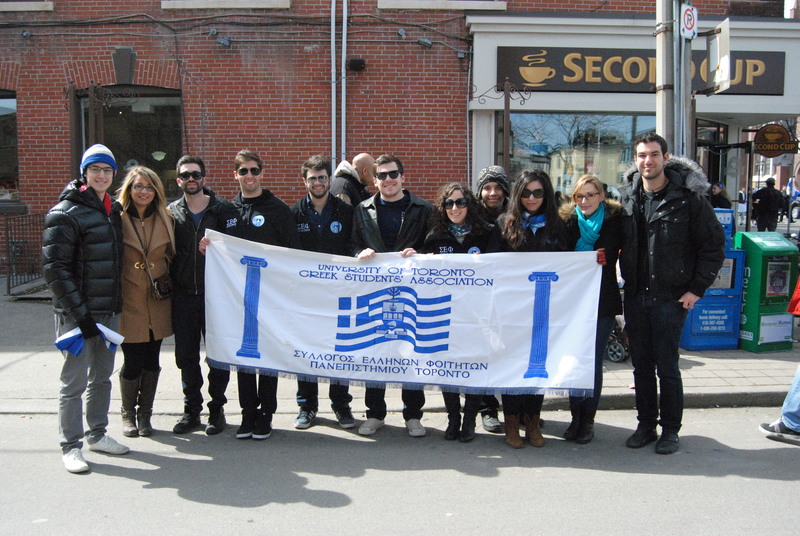 On Sunday March 24, 2013, the GSA was proud to march along side HSA’s of York and Ryerson in the Greek Independence Day Parade. As the weather was beautiful , the GSA proudly had 15 students marching down Danforth Ave (GreekTown) leading the other universities in the traditional parade symbolizing the day of Greek Independence (March 25th). Afterwards, we took all of our members and executives to Astoria Restaurant and met up with Ryerson for a delicious feast, subsidized by the GSA. The Danforth experienced the best turn out of onlookers in recent years. Greek spirit was higher than ever!